Cadet marksmanship had its roots in familiarization training with the Canadian Forces. Its current focus, however, is on teaching cadets the proper use and safe handling of firearms for recreational purposes only. 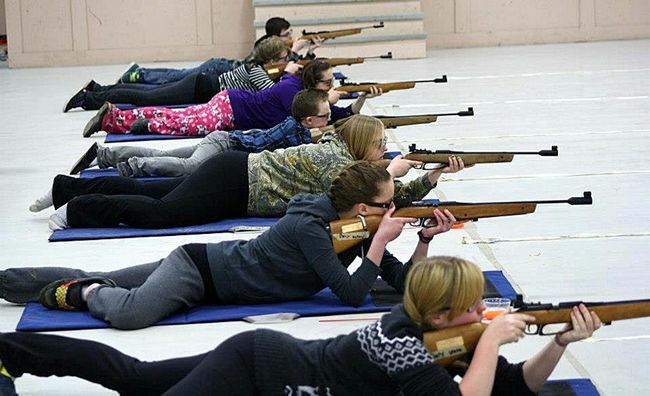 The marksmanship program has been specifically designed for youth and is based on Olympic-style competition. Throughout the year, cadets participate in a series of competitions at the local level that culminate in zone and territorial/provincial competitions and the annual National Cadet Marksmanship Championship. The rofles, pellets, portable shooting ranges and targets are provided. Three additional Cadet Marksmanship Championships Series Pins are awarded when a member competes in the various levels of competition.